Why is it bittersweet? Because once the rosette of an Aeonium plant flowers, it dies. Luckily, they tend to make a lot of pups prior to flowering, so there is always a new plant to take the place of the mother. 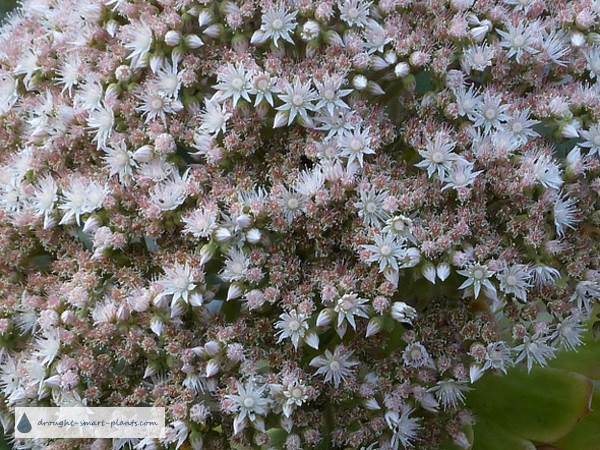 The rosette of the mature plant will elongate, and finally bloom in a stalk of tiny flowers all clustered together. They open at different rates so that there are always some new ones ready to open, some still in bud stage, and some already finished. They can take several weeks to finish this grand finale performance, so you have lots of time to admire the tiny starry blooms while they open and then senesce. 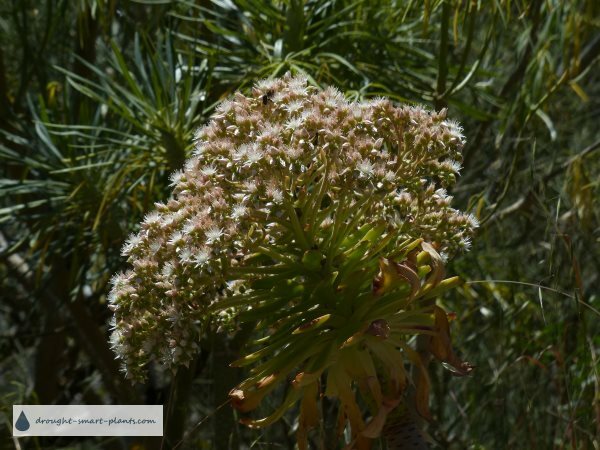 If you've got several different ones blooming at the same time there is a good chance that they'll cross pollinate (with the presence of insects to do the work, of course) and you'll get some seeds. 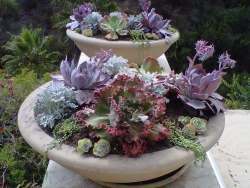 The seed saving process is the same as for other succulents, which you can see more about here. 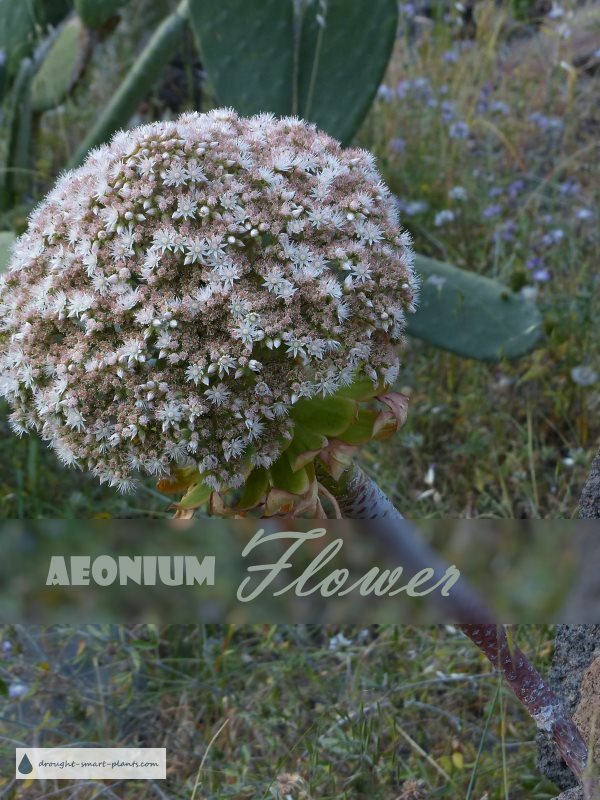 So if your Aeonium plant looks like it's going to bloom, enjoy the process because it will be the end of the plant itself; with luck, you'll have others to take its place, either pups, or seeds.